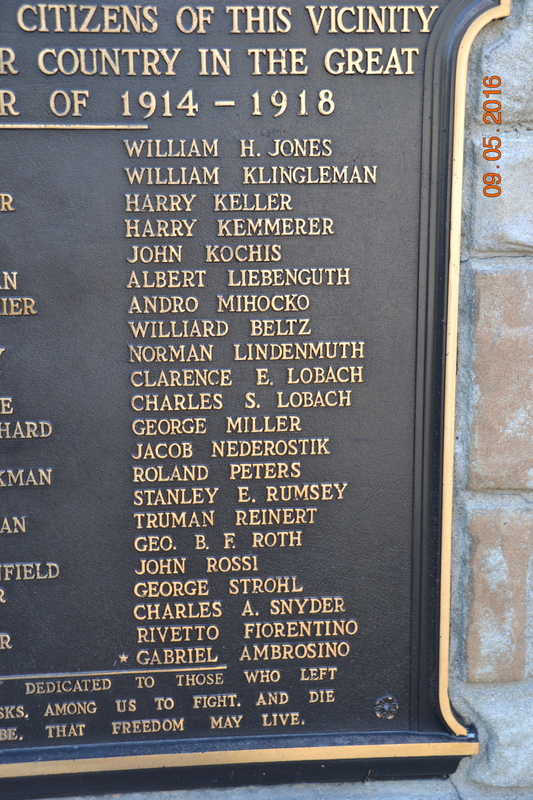 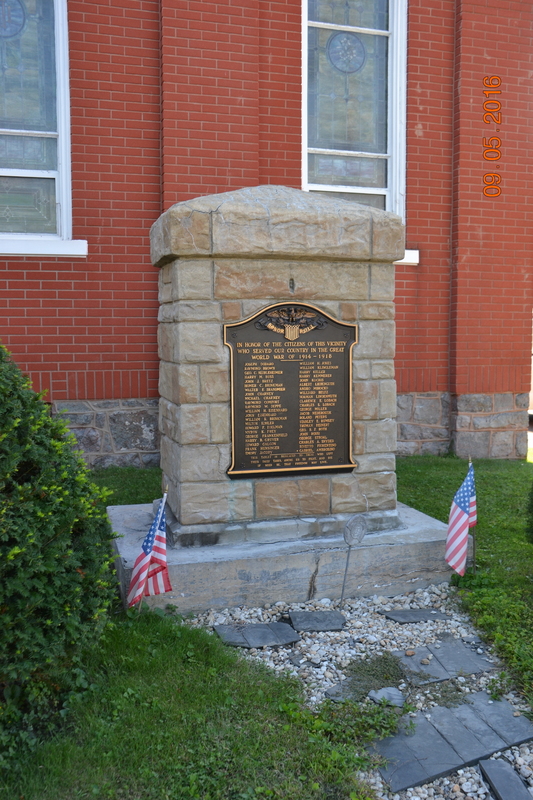 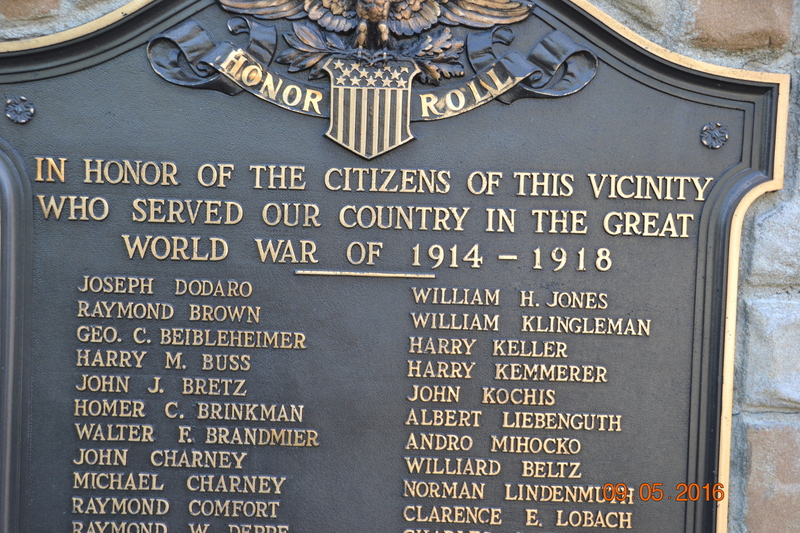 The bronze Cementon World War I Honor Roll plaque is affixed to a small ashlar structure. 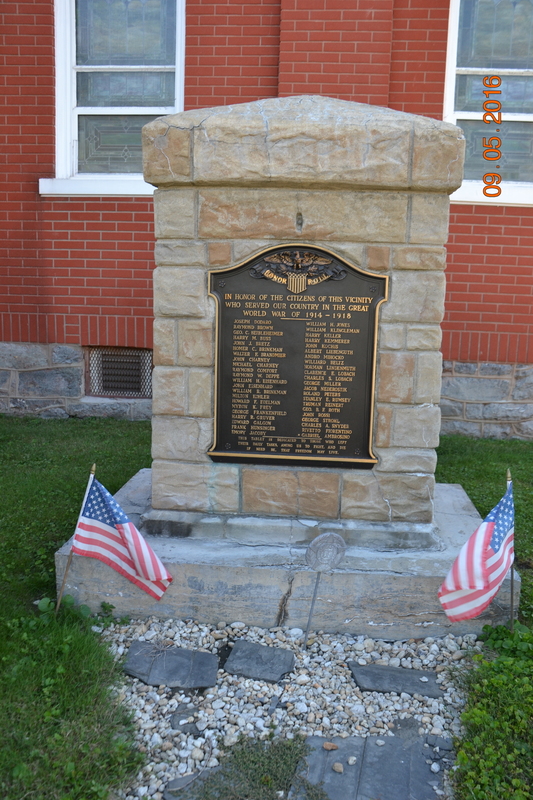 The Honor Roll features an eagle at top and lists the names of 44 people "from this vicinity" who served in the war, including one Gold Star. 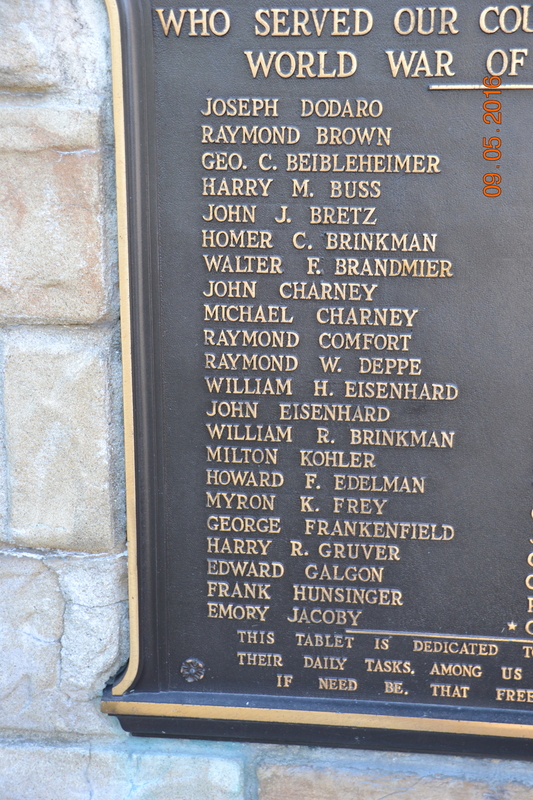 The date of the memorial is unknown. 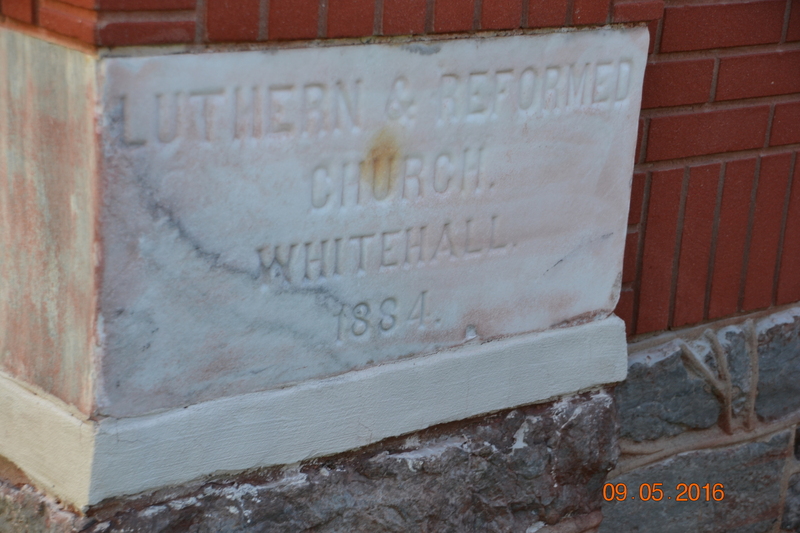 It sits in front of what was once a Lutheran Church (see photo of the cornerstone) that is now the home of the Victory Family Church.